Last week I revealed what goes on behind the scenes of one of the wine evenings at the Vineyard Hotel during their winter season (read it here). 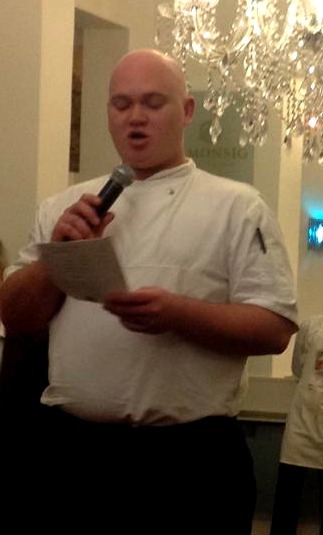 The Ernie Els gourmet wine dinner we got to help plan was held on Friday evening at the Square Restaurant at the Vineyard. And it did not disappoint. As usual, the evening starts with welcome drinks while we get warm welcomes from the hotel manager, Roy Davies, the chef on duty, Chris, and the representative from Ernie Els wines, Duncan Woods. Have a look at our stunning menu below. Probably some of the best pairings we have enjoyed over the 7 years we have been attending these dinners at the Vineyard. For just R295, this was really superb value at the price. And if you want to, take advantage of the special sleepover rates offered by the hotel that will include the cost of the dinner and breakfast too! There are only a few spots left at some of the remaining dinners of 2014, so try not to miss out and book early for the next season in 2015. It makes for a perfect venue for a special occasion event or birthday. 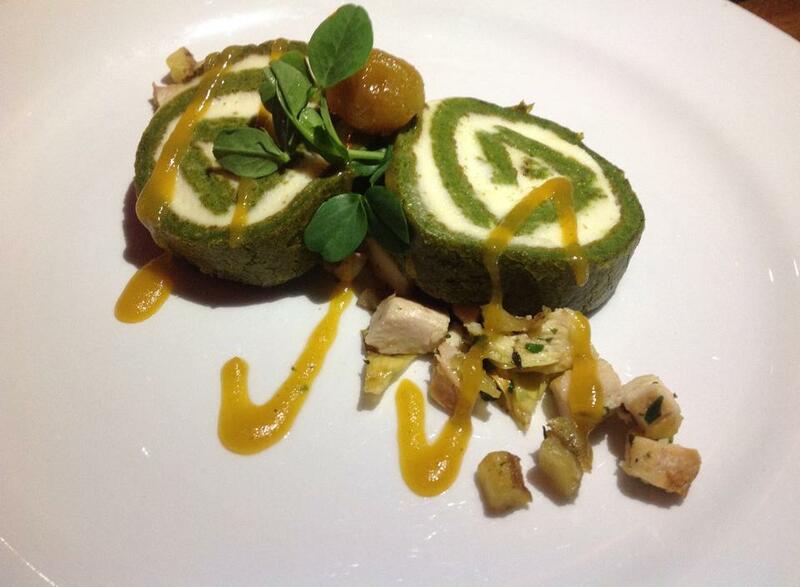 First Course – Broccoli and fleur de latte roulade, green tomato and fennel chutney, warm red skinned potato, artichoke and oak smoked chicken salad. Paired with Ernie Els Sauvignon Blanc 2013. 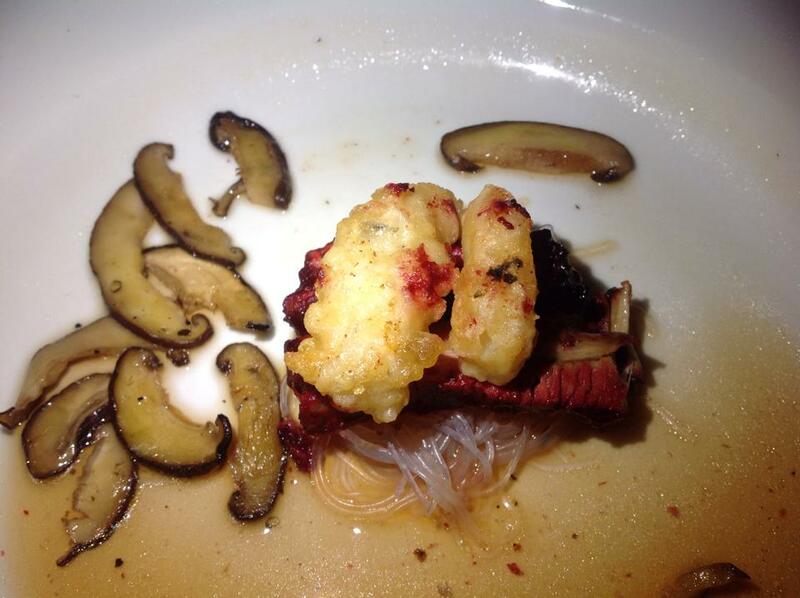 Second Course – “Surf and Turf” sticky five spice charred pork riblettes, glass noodles, tomato shitake broth, tempura prawn. Paired with Ernie Els Big Easy Chenin Blanc 2013. 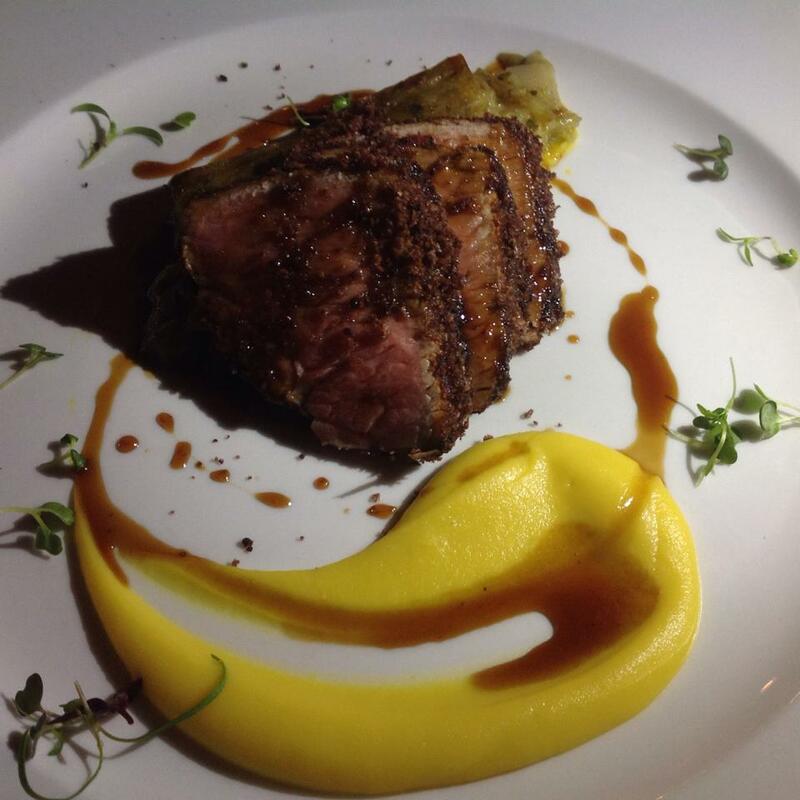 Third Course – Olive crusted Karan beef sirloin with a gorgonzola & spinach dauphinoise, gem squash puree and rosemary jus. Paired with Ernie Els Cabernet Sauvignon 2012. 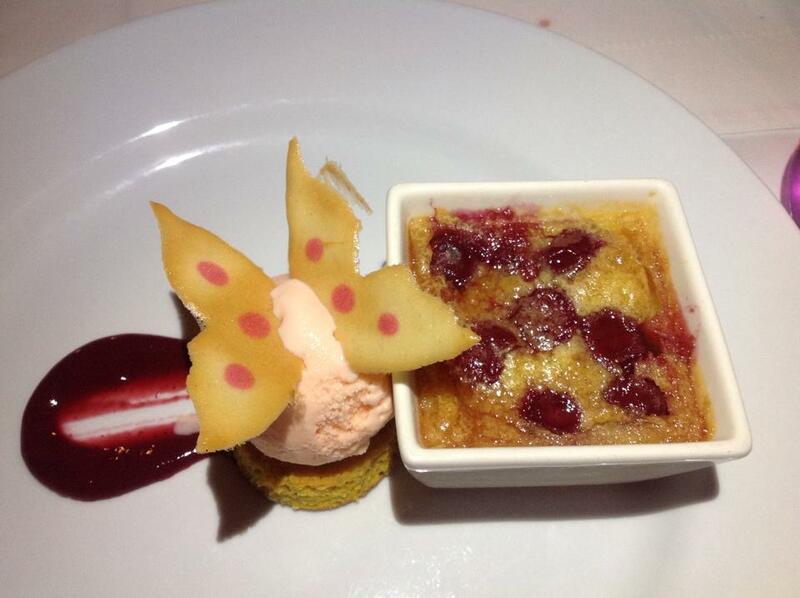 Fourth Course – Cherry calfoutis with a Turkish delight marshmallow ice cream, butternut toast. Paired with Ernie Els Proprietor’s Syrah 2012.